"They know my name when I pull up at the drive through. Very friendly and family oriented. Have even offered to go in after hours to fill a script for me." 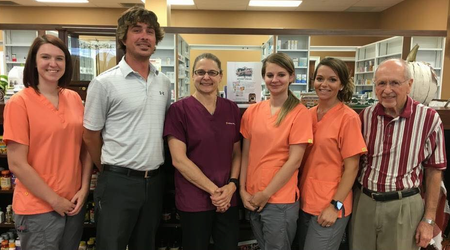 "I cannot say enough good things about the extra mile that Webber Pharmacy has always gone for us. For over 20 years, the everyday needs and the oddities that our medical situations called for Webber's shined every-time." "Always friendly and helpful. Have been getting my daughters prescriptions here from the day she came home from the hospital 6 years ago." "Such great service from a wonderful staff. Can't be any easier or better than Webbers!"